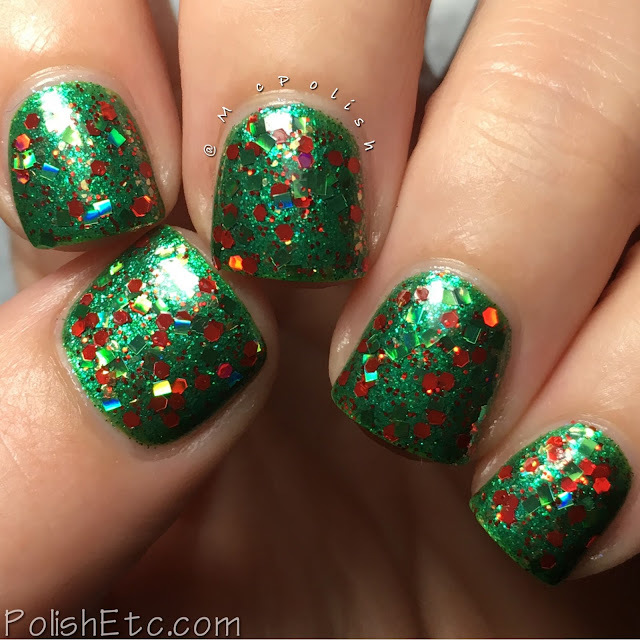 Whimsical Ideas by Pam - Holiday Collection 2016 - Polish Etc. 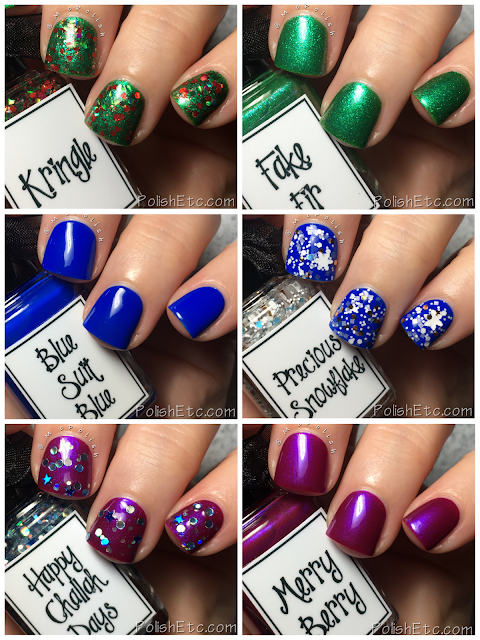 I have another lovely holiday collection to share with you all today. Whimsical Ideas by Pam always has great holiday themed collections...for all of the holiday. In this collection of six polishes, she covers Christmas, Hanukkah and the winter season in general. We have three glitter toppers and three base colors to look at today. These polishes are available right now, so let's go! 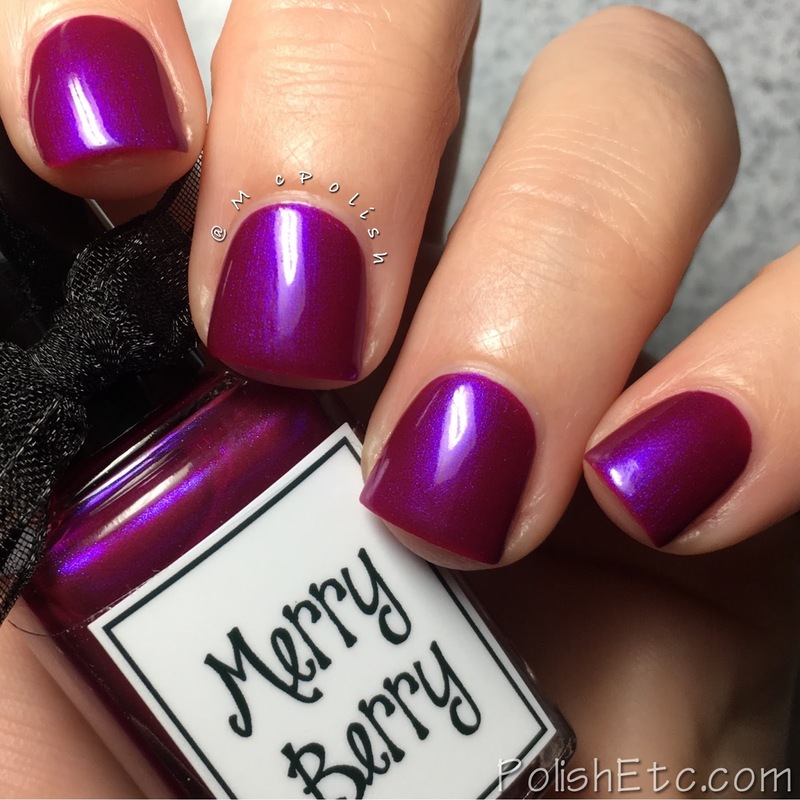 Merry Berry - A fuchsia/purple base with bright blue shimmer. The purple base is very warm toned which contrasts nicely with the cool blue shimmer. I have seen a lot of polishes with this general feel before but I would have to say this one has the best formula. Usually, these shades are pretty sheer and never turn out looking as cool as they do in the bottle. But I was pleasantly surprised with how opaque and smooth the formula was here. I am showing you two coats with a glossy top coat. 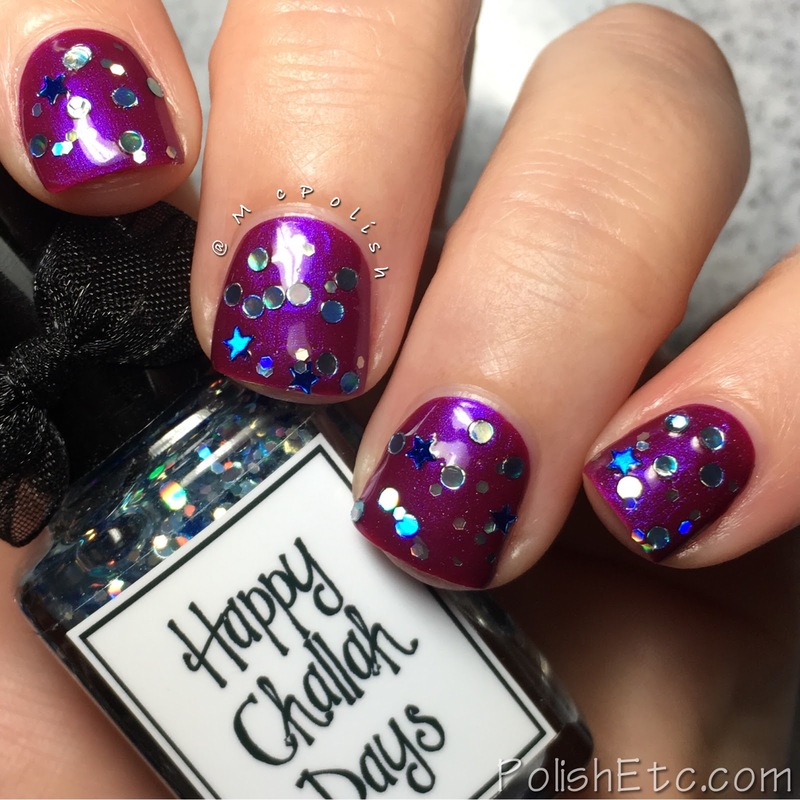 Happy Challah Days - A clear based glitter topper with holographic glitters in small silver dots, tiny silver hexes and small blue stars. This one was just okay for me. It is a little base heavy and the dots liked to stack together. But I do love the look of the small dot glitters. 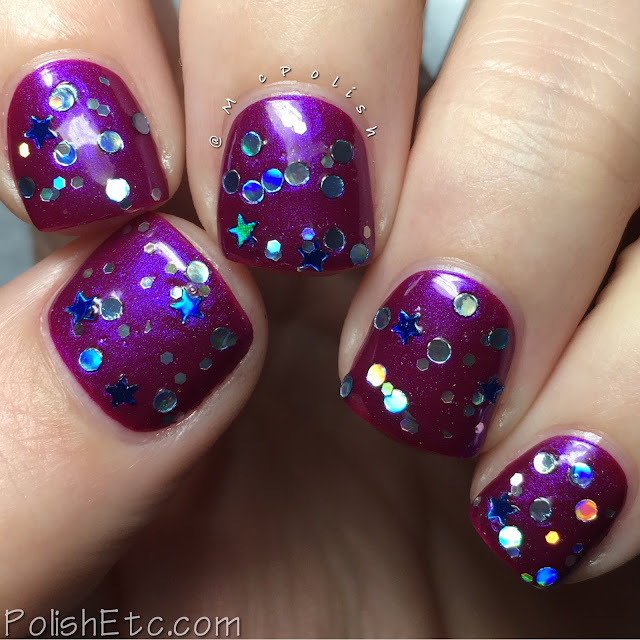 I dabbed one coat over Merry Berry with some mild glitter manipulation. I topped it all off with a glossy top coat. 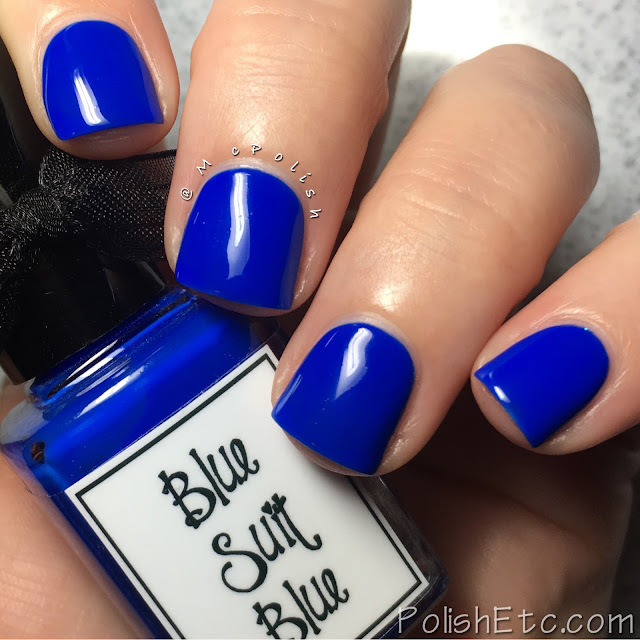 Blue Suit Blue - A bright cobalt blue creme with an amazing formula. The formula on this polish is so nice. It walks the line between and creme and a crelly. There is a little bit of squish which makes it apply beautifully. I am showing you two easy coats with a glossy top coat here. 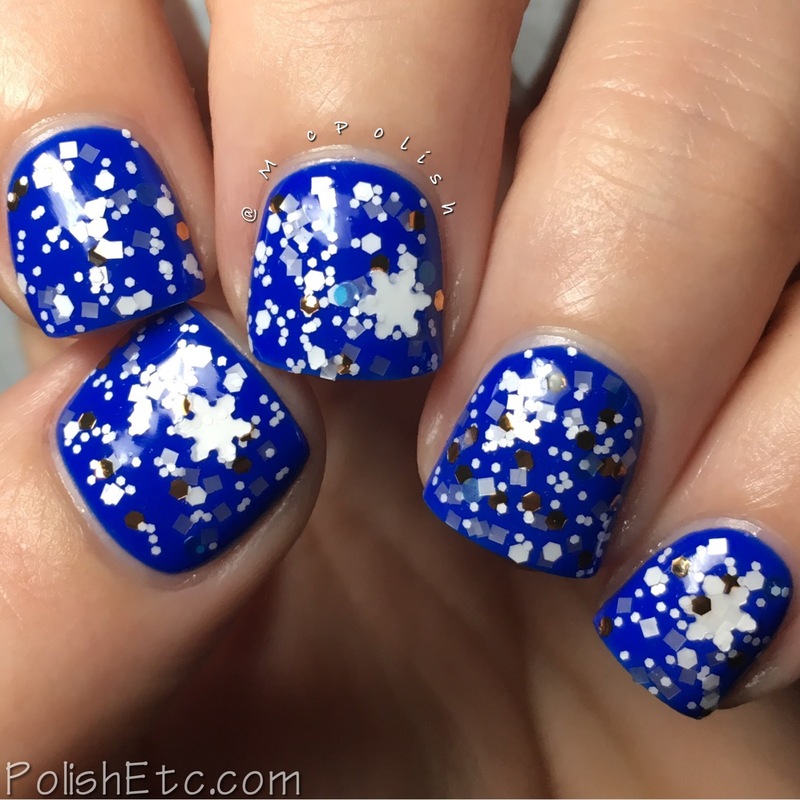 Precious Snowflake - A clear based glitter topper with glitters in matte white hexes and squares, bronze metallic hexes, white/blue satin dots and squares with a sprinkling of matte white snowflake glitters. I really liked the formula of this topper. It applied a nice amount of glitter with one coat and I didn't have to manipulate the glitters (other than the snowflakes). 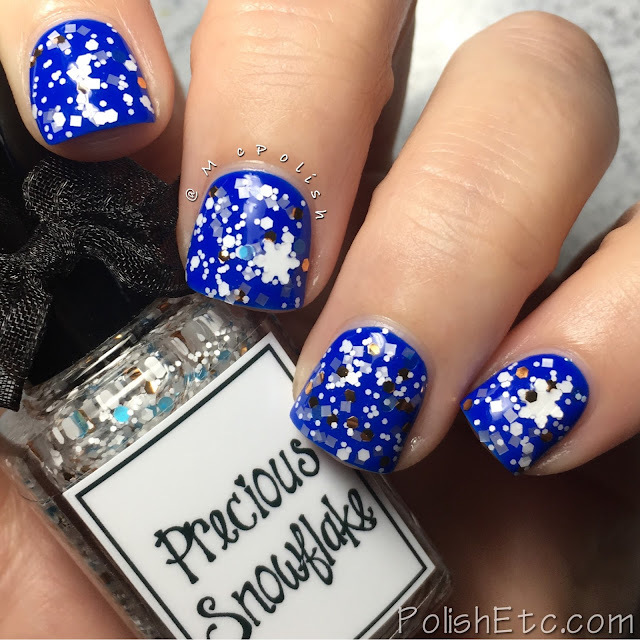 I got a snowflake every other time I dipped into the polish. 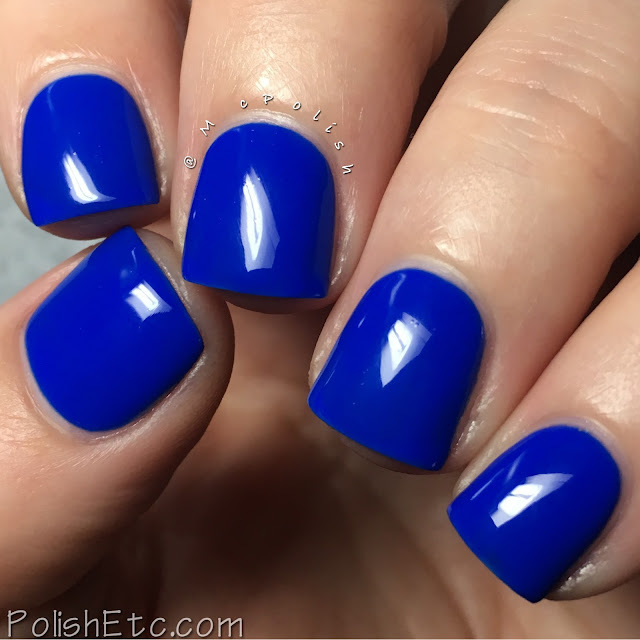 I am showing you one coat over Blue Suit Blue with a glossy top coat here. 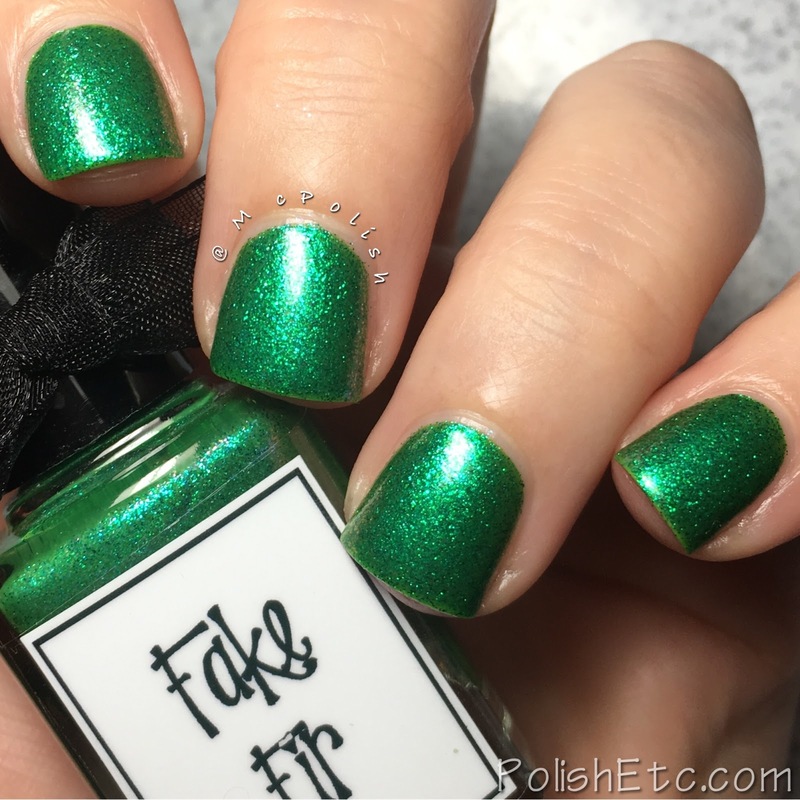 Fake Fir - A spruce green jelly polish that is packed with tons of microshimmer and a nice blue flash. Even with all of the shimmer in this polish, it applied very smoothly. It was a little more sheer than expected and some people with longer nails might need three coats. I am showing you two coats here with a glossy top coat. This one is a stainer though. 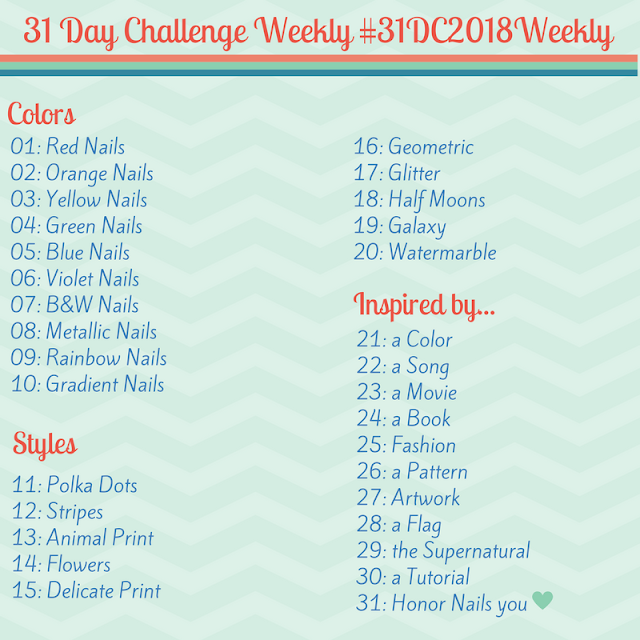 I had yellow nails after swatching. I would recommend to wear two coats of base coat to help prevent staining. Kringle - A clear based glitter topper with a mix of red and green glitters perfect for Christmas. This gave pretty even glitter coverage with one coat. I am showing you one coat over Fake Fir with a glossy top coat here. The green square glitters look like they are curling but that is more illusion than true curling. The Whimsical Holiday Collection 2016 is available right now. Pam does all of her sales via email from her Facebook page. So be sure to check it out for all of the ordering details. Which one of these is your fave? I think Precious Snowflake might be my fave. It would look great over any color. Which is your fave? What a great mix! :) And that blue is stunning! It is such a pretty blue!